During the year 2009 l’Associació rurbans along with the Consell Comarcal del Pallars Sobirà carried out a program of Awareness-raising located in the same region. This was the goal of working for a year with young children of farmers (s) of the territory that have the intention to continue the agricultural activity. At the same time he also had in mind those that despite not having parents farmers had the strong conviction of getting started in this sector. L’objectiu He was working on a new framework for the management of agricultural lands from an innovative perspective and at the same time allow a young person to feel attracted to this profession, working opportunities/potentialities offered by the sector: a work recognized; economically viable and with autonomy. Currently, these aspects are not guaranteed in this profession and is this the reason that has led to that little by little the sector was losing its natural relief. The program began in 2009 selected 25 boys and girls from the region of an age group which comprised of 13 year to 27 anys. The task consisted in several working sessions and participation and outputs of knowledge and exchange of other territories. 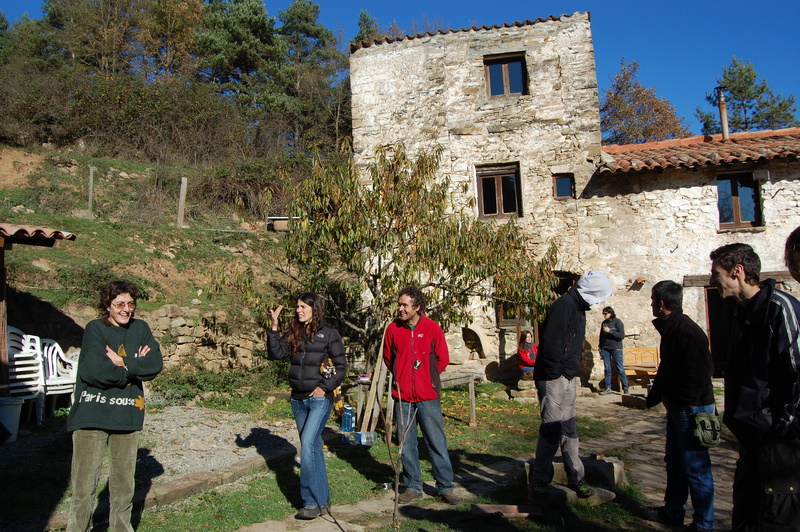 The goal was on the one hand, laying the foundations of the management of the agricultural lands from a perspective of new farmers; i per altra banda, conèixer practical cases that exemplifiquessin these proposals departures from the same group. EVOLUTION OF THE PROGRAM: "YOUNG AND AGROECOLOGY"
L&#8217;any 2011 the program worked with the creation of a working group and for the exchange of experiences between young people who have made an addition in the agricultural world and that we detected with the concern to apply practices related to the management of the new peasantry: cooperatives, handling in extensive, traditional management of the business with the incorporation of new technologies, transformation of products and direct selling. We worked the recycling and training of the people who are its natural relief of this traditional livestock sector, providing them: work efficiency, environmental sustainability in the management of your project and work space; economic viability in their processes and finally a greater autonomy and freedom which is currently this sector. This process was to have a duration of 4 months and currently rest stopped with the expecting to restart it soon.